Mexico has overtaken Italy to become the world’s largest consumer of bottled water and now accounts for 13% of all the bottled water sold worldwide. The latest report of the Beverage Marketing Corporation puts the per person consumption of bottled water in Mexico at 234 liters a year. The equivalent figures for Italy, Spain and the USA are 191 liters, 119 liters and 110 liters respectively. Aided by massive advertising campaigns and concerns about drinking water quality, the consumption of bottled water in Mexico has risen 8.1 % a year since 2004. The Environment Secretariat insists that 85% of public water supplies exceed the minimum standards for drinking water, but sales of bottled water now top 26.032 million liters a year, 70% in large bottles (known as garrafones) and 30% in individual plastic bottles. This has dire consequences for household budgets and for the environment. 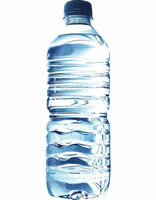 In 2009, 21.3 million PET (hard plastic) bottles were discarded daily; only 20% of them are recycled. The two major bottlers of water are Coca-Cola and Pepsi, whose combined concessions for water top 37 million cubic meters a year, equivalent to the combined capacity of Mexico’s four largest man-made reservoirs, or to more than four times the capacity of Lake Chapala, Mexico’s largest natural lake. Water and water-related issues are discussed in chapters 6 and 7 of Geo-Mexico: the geography and dynamics of modern Mexico.